Made for your mobile devices. Works perfectly. Excellent value for money in my opinion. Easy to connect up, works nicely with iPhone through USB and Bluetooth. Will this item fit my vehicle, and will I require a wiring adapter? Can you use this radio in this car? And do you require any additional connections? So do u mean the yellow wire goes into red wire and vice versa? Would that solve the problem of the steroid turning back on when not in use? will this stereo fit in my car? Can I fit this model 1n my Civic. What mods would be required. What would be an approximate cost to fit inclusive of the radio. You need the following parts. For installation call your local store. 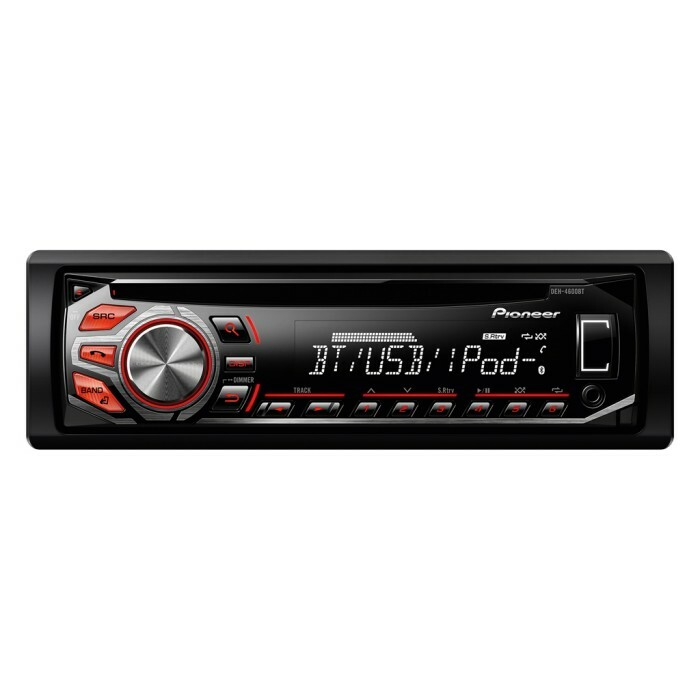 I have a Toyota Granvia (which I believe has a similar wiring setup to the Camry) which wiring loom would I need for this stereo? Will this fit my MG TF what adaptors will be needed? Will this model fit my Rover 75 connoisseur. HAd this unit in my 2004 freelander have taken it out before selling jeep. Will it fit and what do I need to install in my 206 year 2005. Could i use this stereo to play music via bluetooth and also my parrot for phone calls?